How does Allow "Shipping will be Calculated later'" work for my store? 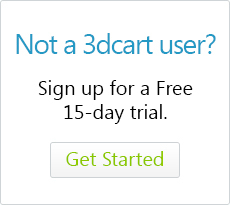 In your 3dcart Online Store Manager, you will find a series of Shipping Settings that can be found by going to Settings ->Shipping and then clicking on the "Enter Settings" button under the "Carrier Settings" section. Once there, click on the + Icon next to "Shipping Settings to reveal a series of checkboxes. Within this area you will see a checkbox titled "Shipping will be Calculated later "
In some cases, your configured shipping methods may not be applicable to the customer's order and circumstances, whether it is due to their particular area of delivery or purchased items in general. For example, you may have shipping methods that only apply to a maximum weight range of 150lbs, whereas your customers order is in the 200lbs range. In a case like this, no shipping method would apply to the purchase and the cart would generate an error stating that no shipping method could be found and the order will not be able to be completed until the items are corrected. The "Allow 'Shipping will be calculated later'" setting would allow for a simple fail-over message stating that shipping will be calculated later in order to allow the checkout process to continue. Then, after the order is placed, you can charge the customer separately for shipping as needed. The overall purpose of this setting is to allow the order to go through, even if the shopper could not select an applicable shipping method. This can help reduce the number of abandoned carts generated on your store as well as give you an idea of any gaps in your store's shipping methods which may not account for all situations. The front-end wording of this setting can be edited in your 3dcart Online Store Manager's Store's Language section located by going to Settings ->Design ->Store Language. Look for the "Checkout 2" heading and edit the content labeled "shipping-fail" to edit your message.